Yeezy Boost 350 Butter Bear t shirt. Yeezy Boost 350 V2 Sneaker tees and Streetwear clothing to match and wear with Butter Yeezy Boost 350. 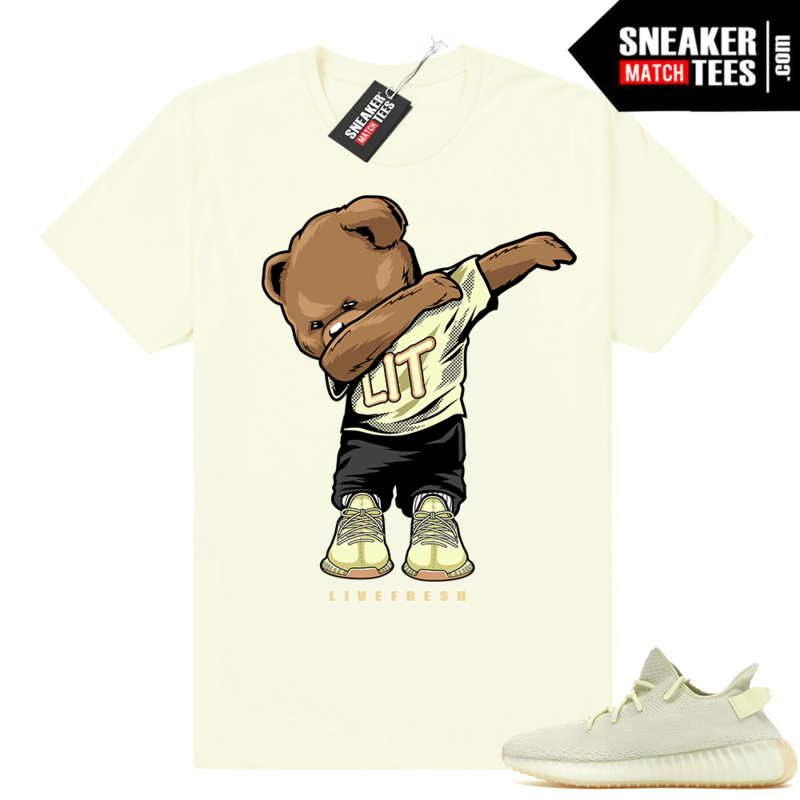 Yeezy Boost 350 Butter Bear t shirt. Yeezy Butter Shirt to match Yeezy Boost 350 V2. Sneaker tees and Streetwear clothing to match and wear with Yeezy Boost 350 V2 Butter sneakers. View the entire matching collection of Yeezy Boost 350 Butter Shirts. Sneaker Match Tees Features exclusive shirts for the streetwear, Sneakerhead, street style, and sneaker tees category. Find the best selection of shirts to match your sneakers, including Nike, Nike Air Max, Adidas, Yeezy, Foamposites, and Air Jordan Retros. We follow new Jordan releases and sneaker news to bring you fashion forward and trendy collections of t shirts to match. Our sneaker news blog will keep you up to date on new collections releasing soon including release dates, images and where to buy.